Want to get rid of puffiness, bloating and swelling in one go? Then you need to try this! This low impact exercise not only helps flush out toxins accumulating within your lymphatic system but it also gets your heart pumping. Rebounding is something anyone can do. It doesn’t matter whether you’re old or young, all you need is a mini-trampoline. 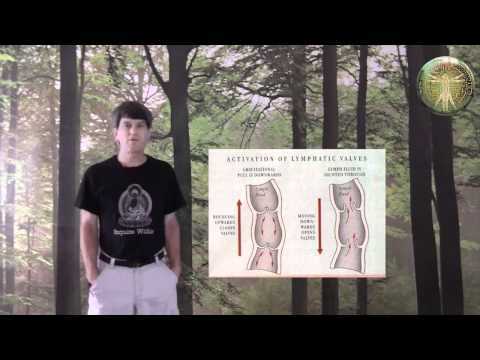 Without routine flushing of the lymphatic system, debris become trapped inside your body, creating a toxic overload and contributing to the onset of disease. 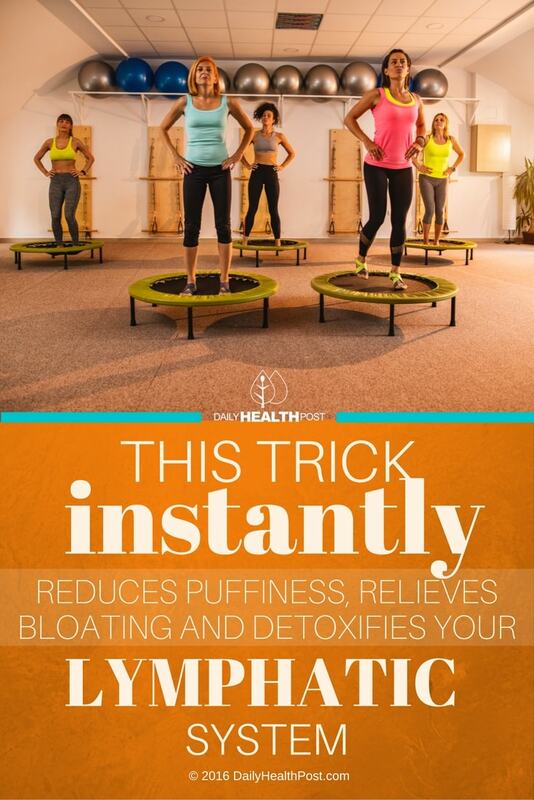 Fortunately, exercising on a rebounder for just a few minutes at a time will promote the flow of lymph, thereby eliminating toxins. This is one of the main reasons why sedentary individuals are more susceptible to illness. 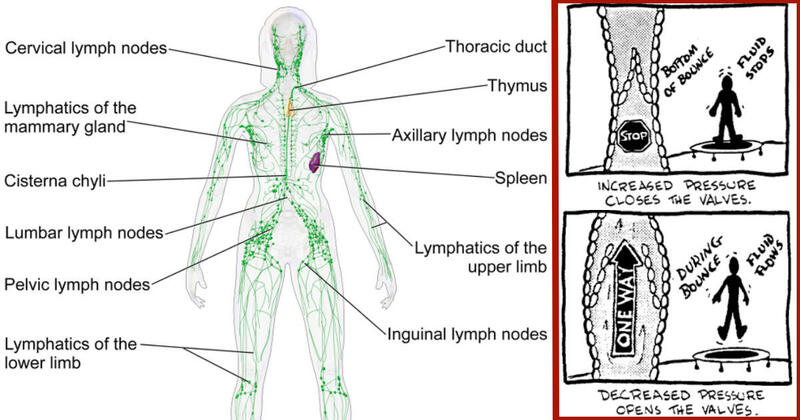 Poor lymph flow prevents their body from effectively eliminating waste. As surprising as it may sound, just 2 minutes of rebounding is enough to clear out your entire lymphatic system. In addition, white blood cells in your body triple during this short period of time and remain elevated for an hour! (1, 2, 3). How Much Time Should I Spend Doing This? A therapeutic strategy to rebuild health would be to rebound for two minutes every waking hour, or as many times a day as possible. Two minutes of gentle bouncing throughout the day is more effective for healing than one long session. Repeated short sessions for a total of 5-20 minutes help maintain an active immune system, oxygenate and strengthen cells, and continuously cleanse the lymph. Rebounding is the single most effective exercise that you can do to get your lymph flowing with very little strain on the body. By using the natural power of gravity to get lymph flowing, rebounding helps clear away toxins.